Standards groups merge--who cares? Anyone who wants to understand the seat of supply chain power. Yesterday, September 10th 2012, GS1 US and the Voluntary Interindustry Commerce Solutions (VICS) Association announced that they have signed a memorandum of understanding to merge their operations. This is significant news for the supply chain community. Founded in 1986, VICS pioneered various retail technology standards and practices that we take for granted today. They became the 'go to' working group to hash out the game plan for inter-enterprise process standards for retailers and their suppliers—how we replenish, how we collaborate, how EDI and RFID programs will be implemented and more. Working groups in VICS cover strategic issues such as Collaborative Planning, Forecasting and Replenishment (CPFR), Global Logistics standards and methods, as well as equally important tactical issues such as preparing floor-ready merchandise (FRM)--hangers, tickets and labels, EDI signals, etc.--so that effective fast and accurate work can get done and critically, so that our systems all talk to each other. 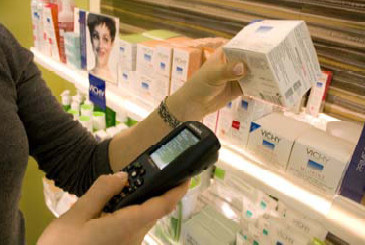 GS1 is now at the core of many standards such as GTINs, RFID, EDI, and the ubiquitous barcode for the Retail community. UCC, RosettaNet, and EPCglobal were separate standards organizations in the past that are now part of GS1. GS1’s working groups in retail, pharma, and other industries are driving the data and integration standards for those industries and how we may synchronize product data. So from that perspective this merger makes a lot of sense. One group to go to for all these related standards. Why Should We Care? It’s All About Power! Standards—boring stuff you say? Besides duking out details like what 3-field codes will be placed in what order on a label, this organization is driving the procedure, context and process workflow exercises for major supply chain linkages in the Pharma, Retail, High Tech and Transportation industries, to name a few. If you are a technology provider, a zig or zag in a standard can get you in or shut you out of a market. They also have initiatives that help certify solutions providers. This gets tech companies on the short list of technology purchasers. You comply. You’re interoperable. You integrate. You scale. 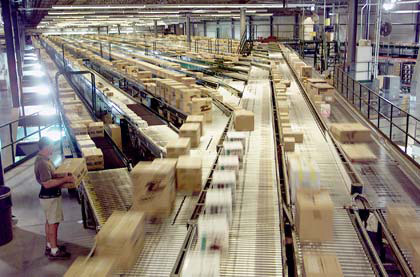 From device manufacturing (RFID, Automatic Identification and Data Capture Certification), and data pools for EDI and MFT providers (certification by the Drummond Group), to barcodes—many companies have gone through a variety of certification exercises conducted or promoted by GS1. Their charter comes from the key players in the industry—the major retailers and brand companies. GS1 can execute on thorny issues and facilitate trading partner technology conflicts, over time, to create a new M.O. in the industry. GS1 is quite aggressive and entrepreneurial for a standards group. They morphed from the UCC into who they are today: behind the scenes, dictating (with charter in hand) the data model for supply chain in many industries. This merger should enhance that focus and their span of authority. That is why you should care. We will see what this merger brings to the members over the next few months.